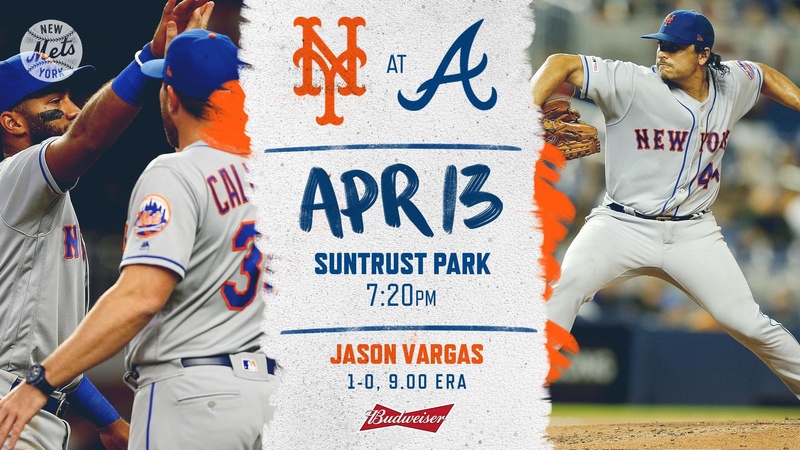 The Mets will send veteran lefty Jason Vargas to the mound to head on the Braves and Sean Newcomb, a lefty of their own. Mets starter Jason Vargas is 1-0 with a 9.00 ERA while Newcomb is 0-0 with a 1.64 ERA. This is the third game of a four game set.